Offering the entirety of orthopedic treatments available, the doctors at Pennsylvania Orthopedic Associates work tirelessly to improve patients’ function and performance while enhancing their quality and longevity of life. The team of physicians provides effective and innovative treatments in the field of joint replacements, spinal disorders, sports medicine, hand and upper extremity, and general orthopedics. 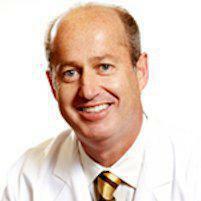 Dr. Krum is a graduate of The University of Miami with a Bachelor of Science degree in chemistry. He received his medical degree at Kansas City University of Medicine and Biosciences. He completed his internship at Metropolitan Hospital in Philadelphia and his residency in orthopedic surgery at Millcreek Hospital in Erie, Pennsylvania. He is licensed by The Pennsylvania State Board of Medicine. Dr. Krum is certified with The American Osteopathic Board of Orthopedic Surgery. Dr. Krum has practiced orthopedic surgery in Huntingdon Valley since 1994. He has specialized in joint replacement and arthroscopic reconstructive surgery. Dr. Krum has been a team physician for division one college athletics as well as multiple local high schools. He maintains a general orthopedic office practice which includes the evaluation and treatment of pediatric, adolescent and adult patients. 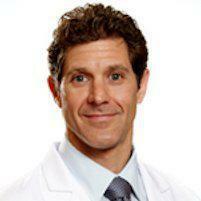 Dr. Reinhardt graduated from Temple University in 1989 with a Bachelor of Arts degree in biology. He received his medical degree from University of Osteopathic Medicine and Health Sciences in Des Moines, Iowa in 1993. Dr. Reinhardt completed a one-year traditional internship at The Philadelphia College of Osteopathic Medicine and then completed his orthopedic residency at Memorial Hospital in York, Pennsylvania. 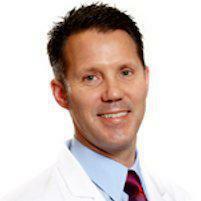 Dr. Reinhardt received his board certification through The American Osteopathic Board of Orthopedic Surgery in 2003. During his residency at Memorial Hospital, he trained in general orthopedic surgery, sports medicine, joint replacement, spine surgery, foot and ankle surgery, trauma and fracture care, and arthroscopic surgery. During his residency, he also trained at other facilities, such as Polyclinic Hospital in Harrisburg, Pennsylvania; Sinai Hospital in Baltimore, Maryland; York Hospital and Alfred I. DuPont Children’s Hospital in Wilmington, Delaware. 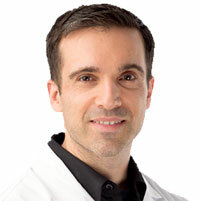 Dr. Schwartz is a local resident of Abington Township who attended Germantown Friends School, and received his Bachelor of Arts degree from Lehigh University. He then graduated from Philadelphia College of Osteopathic Medicine, completed his orthopedic residency at PCOM, and a sub-specialty fellowship in adult joint reconstruction (Total Joint Hip and Knee Repalcement) at the University of Pennsylvania. Dr. Schwartz is board certified and fellowed in orthopedic surgery by the American Osteopathic Board of Orthopedic Surgery and is accredited in hip and knee reconstruction by the American Academy of Orthopedic Surgery. Dr. Phillips graduated from Slippery Rock University in 2007 with a Bachelor of Arts degree in Biology. He was enrolled at St. Bonaventure University from 2003 through 2005 with an athletic baseball scholarship and played Division I baseball for the St. Bonaventure Bonnies. He received his medical degree from Lake Erie College of Osteopathic Medicine in Erie, Pennsylvania, in 2011. Dr. Phillips completed a five-year orthopedic surgery residency through Mercy Health at St. Elizabeth Health Center and St. Joseph’s Health Center in Youngstown, Ohio, and Warren, Ohio, respectively. Dr. Phillips then completed a one-year hand and upper extremity fellowship at University of Pittsburgh Medical Center – Hamot in Erie, Pennsylvania. He completed that training at the end of July 2017. The orthopedic residency training was completed at the end of June 2016. During his residency through Mercy Health, he trained in general orthopedic surgery, sports medicine, joint replacement, spine surgery, foot and ankle surgery, hand and upper extremity surgery, trauma fracture care, and arthroscopic surgery.